The football I refer to is of course the top flight in England and the owner is the Premier League. The price? £5.136 billion paid by Sky and BT Sport for Premier League TV rights packages. For Sky it works out at £10.2 million per game. That might be decent value for Chelsea v Manchester United; with the greatest respect it seems a tad expensive for Hull v Sunderland. Those latter sides and other smaller teams in the Premier League are arguably the big winners from this deal. Currently all 20 Premier League teams number among the 40 richest clubs in the world, Burnley are reportedly richer than Ajax. Finishing bottom of the league in the 2016/2017 season will come with compensation of almost £100 million. There’s no question that TV money has utterly transformed football in England with considerable debate about whether that transformation has been for the better. 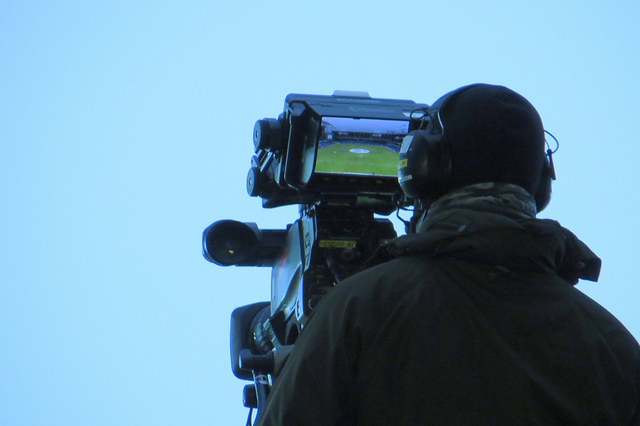 New stadiums, an influx of foreign players and skyrocketing wages for footballers are just some of the changes that have come with the broadcasting bonanza prompted by the formation of the Premier League. Former Arsenal striker John Hartson has suggested that it won’t be too long until we see the first £1m a week footballer (http://www.bbc.com/sport/0/football/31427562). Some of the top players in the Premier League are currently earning around £300,000 a week. According to the Professional Footballers’ Association, the average weekly wage in the Premier League was £3,393 in 1995; by 2005 it had risen to £18,367. Today it is estimated to be £43,717. That average wage is being earned by some very average players. Mention of such figures quickly prompts complaints that they are obscene. In some senses they are, I’m sure there are even a few players who are a little embarrassed by what they earn. The fact remains though that the spectacle they provide is watched by millions of people all over the world. Broadcasters judge that £10m is a reasonable price to pay to show a single game. Corporate sponsors are also willing to pay huge sums for a piece of the action. With so much money attracted into the game, why shouldn’t players be the chief beneficiaries? After the TV rights deal was concluded, Premier League chief executive Richard Scudamore observed that “in 1986 there was no one that wanted to broadcast football. There was not even a highlights programme.” Now, however, we “put on a show that people want to watch and attend – and in ever increasing numbers. There’s more interest than ever before.” That is true and living in South East Asia I have seen that it’s as true here as in the UK, as it is in just about every other part of the world. What about the fans back in the UK who attend Premier League games? Just after the TV deal was announced Crystal Palace fans held up a banner at their home game against Arsenal protesting that supporters are ‘still exploited.’ I have some sympathy with them (apparently a ticket for the Arsenal game cost around £45) but they are protesting inside the stadium after paying for the privilege of being there. It’s not a very effective method of protest. ‘Treat us with respect or else … we’ll just keep paying and keep coming’ seems to be the message. I’ve written before that overall I think ticket prices are too high and that clubs could and should do more to at least offer a wider tier of prices. But nobody forces fans to go to games – it is their choice. There’s not much incentive for clubs to lower ticket prices when attendances are on the increase. I have considerable sympathy for fans when it comes to the scheduling of games. This is now almost entirely driven by the demands of TV audiences. Thus we now have super Sundays (many of which only justify the latter half of their billing), Monday night football and, with the new TV deal, the advent of Friday night football in the Premier League. It’s good news for the ‘remote’ supporters on the sofa, less so for those making their way out the door and to the grounds. It can all get a little too much even for those watching at home. In this week’s NewStatesman magazine, Hunter Davies finds himself surprised to ask, ‘can you have too much football?’ (http://www.newstatesman.com/culture/2015/02/i-never-thought-it-was-possible-have-too-much-football). This question occurred to him after spending 11 hours in a single day watching football on TV. We’ve all been there, at least I have. It’s probably not the healthiest place to be. The latest Premier League TV deal will likely provoke comment and controversy for some time yet. The sums involved are gigantic and it’s understandable to wonder if the Premier League represents a bubble on the verge of bursting. It’s possible but I don’t think it’s likely any time soon. Football is phenomenally popular and the big English sides are among the most popular on the planet. Compared to today’s Premier League, the old English First Division looks a bit like an old banger: loveable for sure, full of character certainly, and by no means lacking in quality. The 2015 version is more premium though, it’s faster, and it has become a huge export. You can have it in almost any colour and pick it up almost any day of the week. And it doesn’t come cheap.